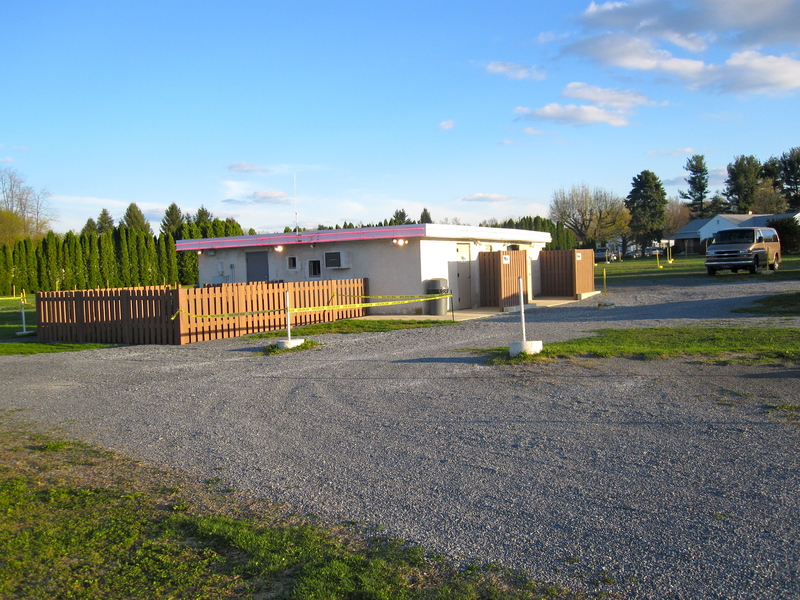 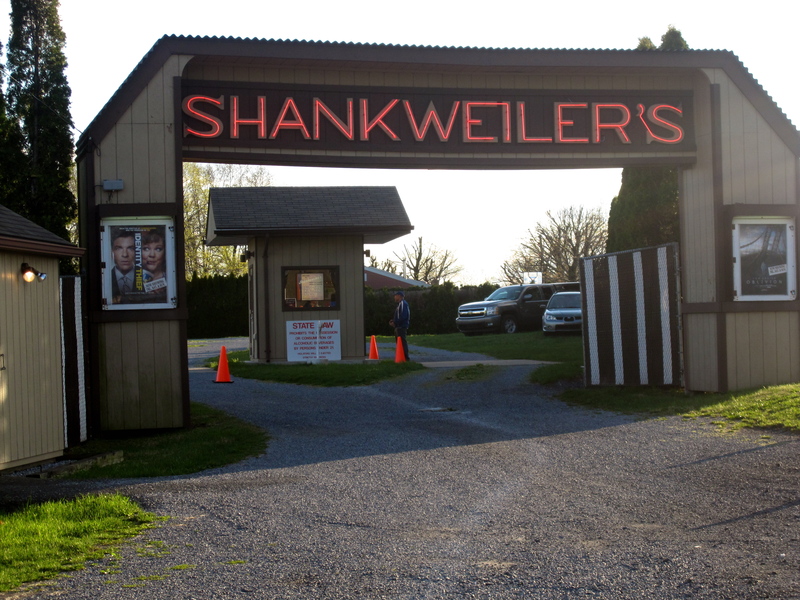 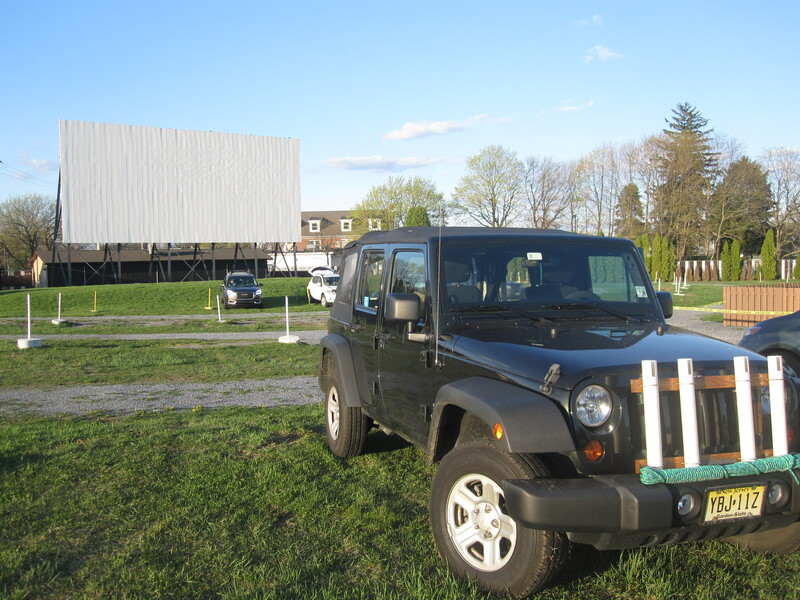 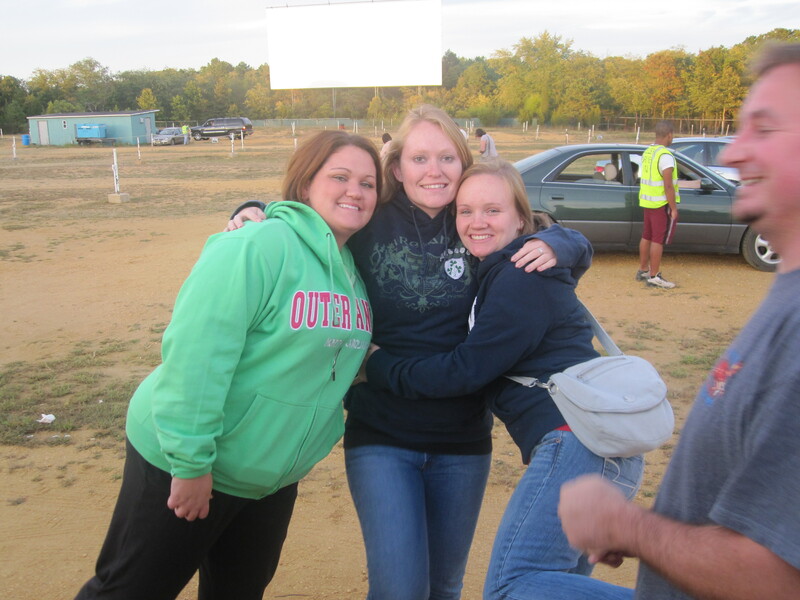 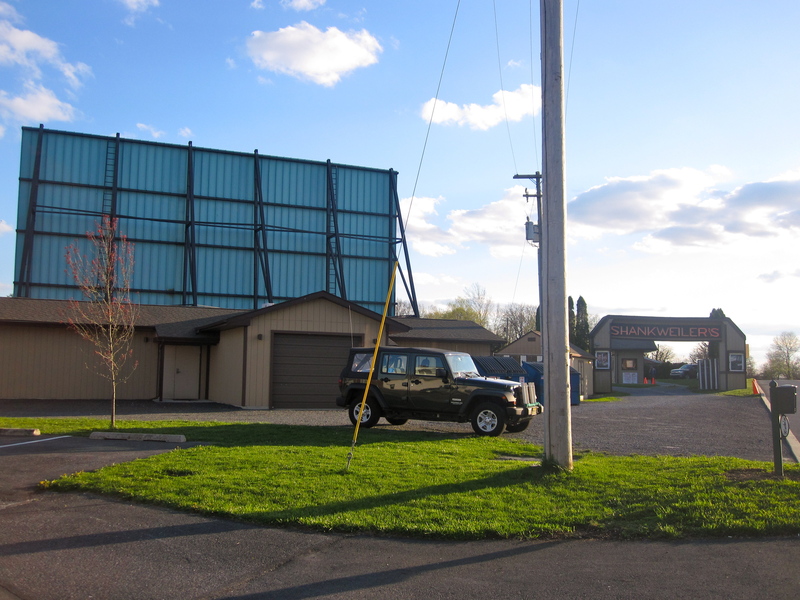 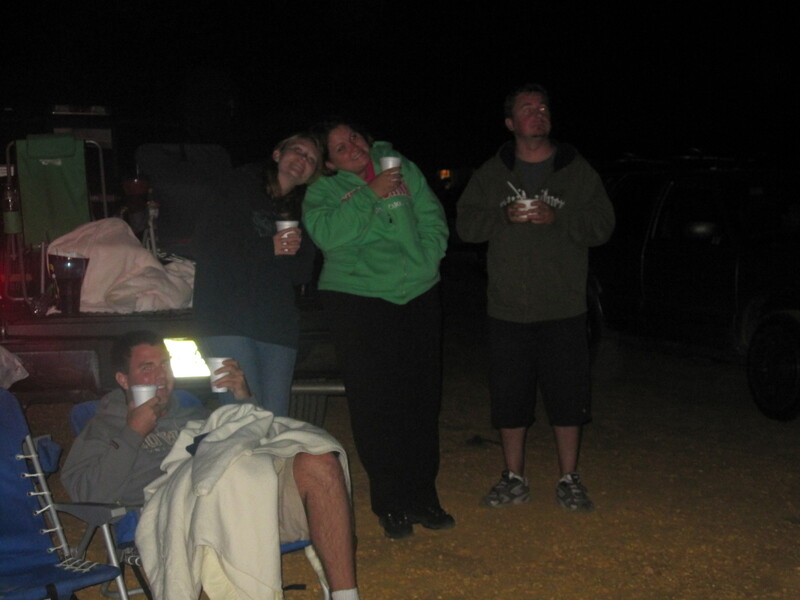 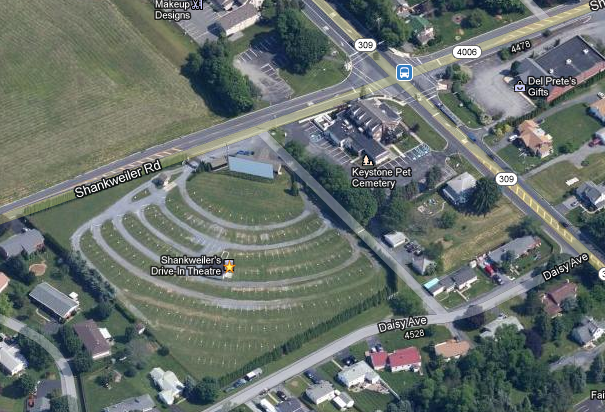 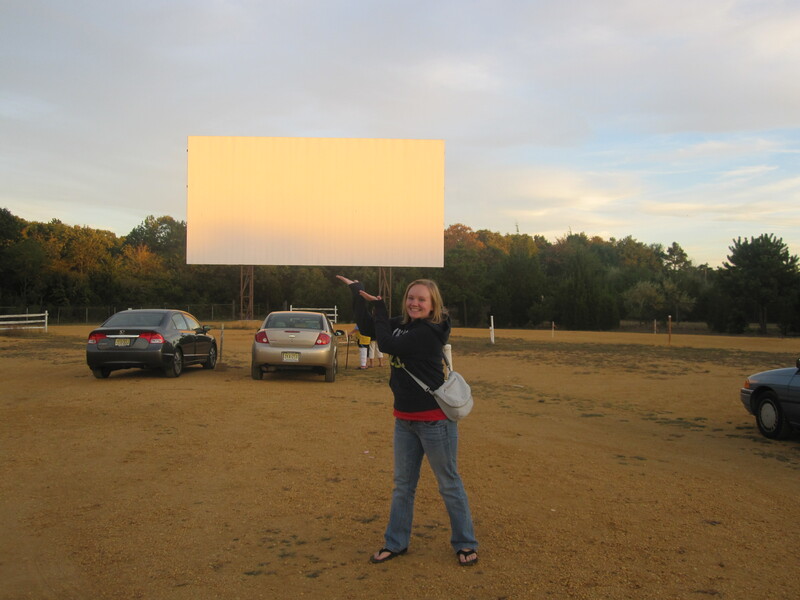 September 2010 was a fantastic month for me and one of those reasons was my first visit to a drive-in movie. 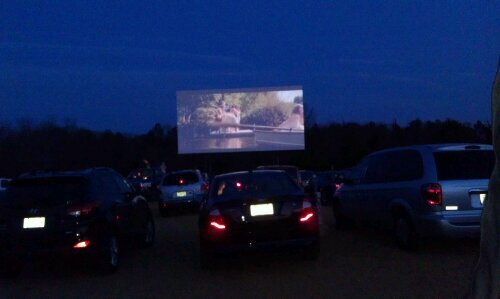 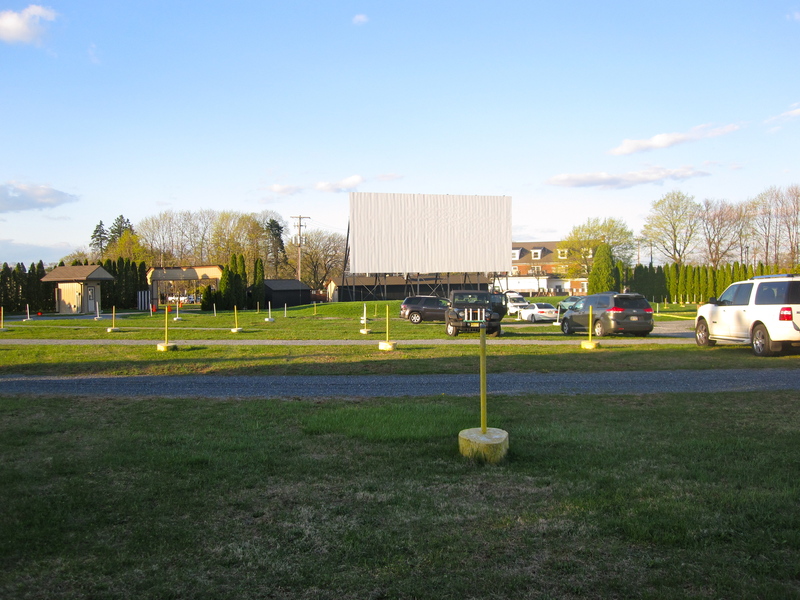 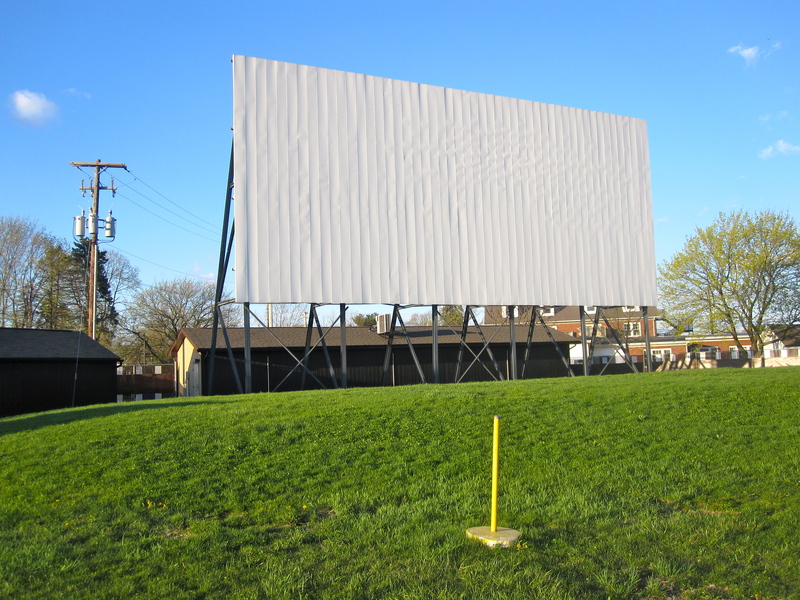 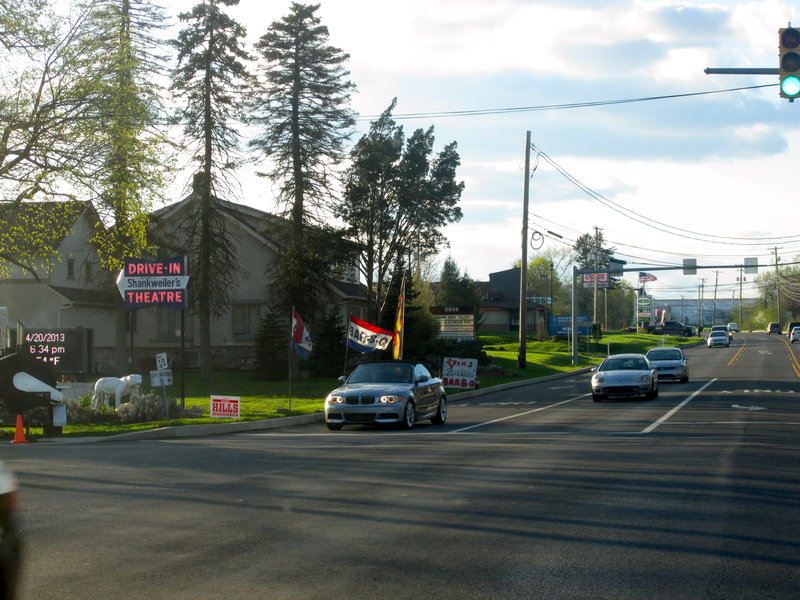 Delsea Drive-In, in Vineland, NJ. 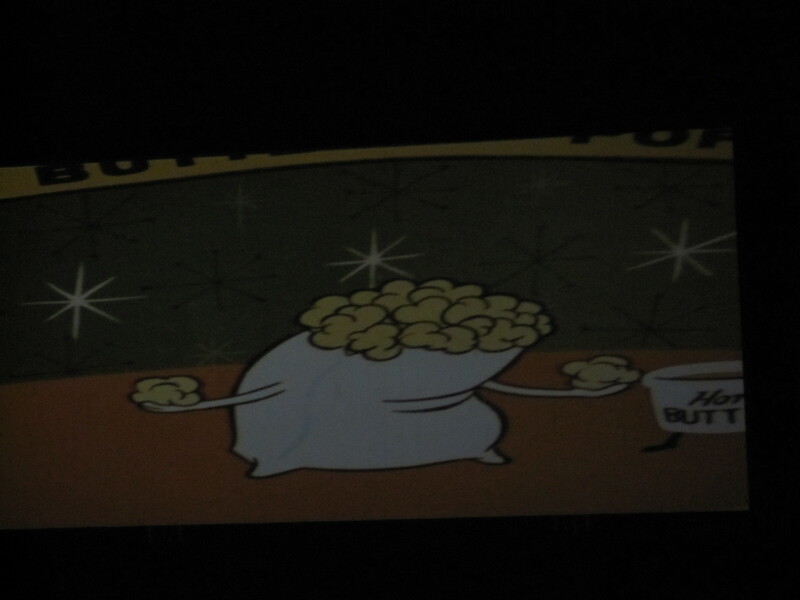 Before this I had never known they still existed! 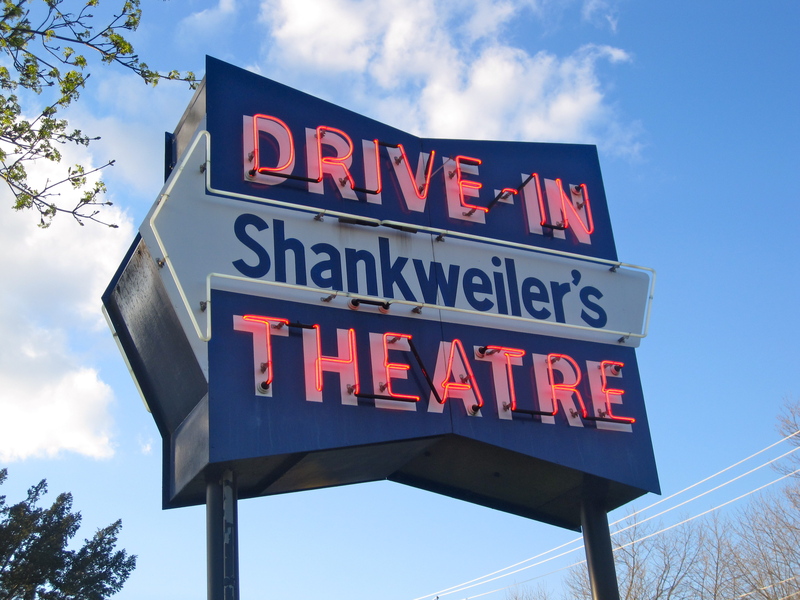 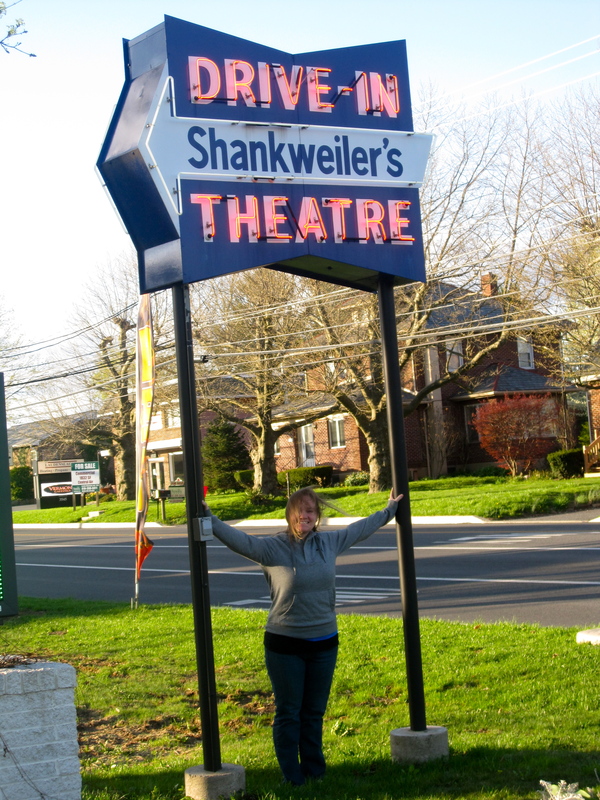 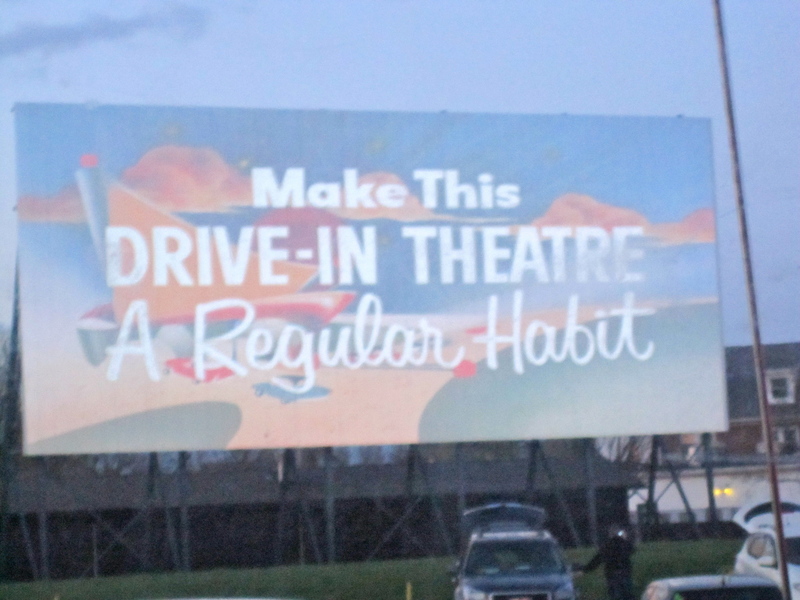 Drive-in theaters sounded like an old-time conversation piece my mom would have been excited to discuss. 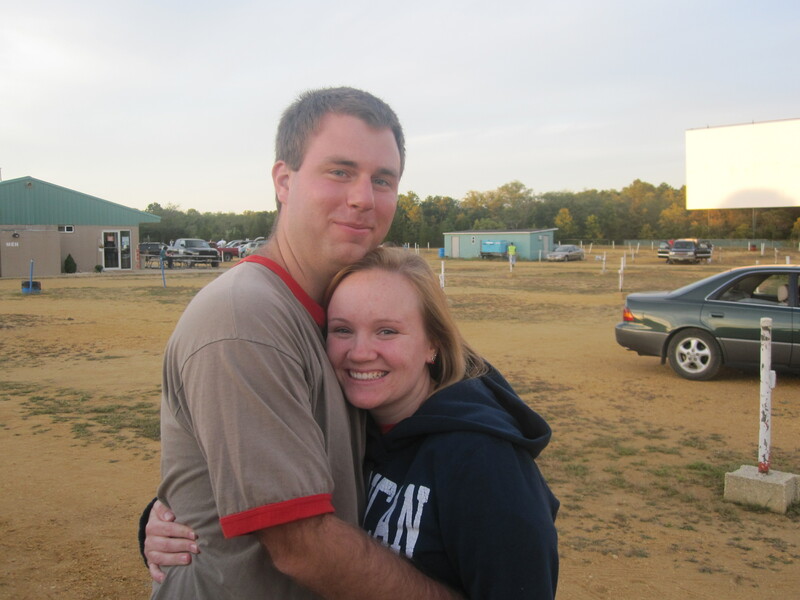 So when my now-boyfriend (he asked me out later that night!) 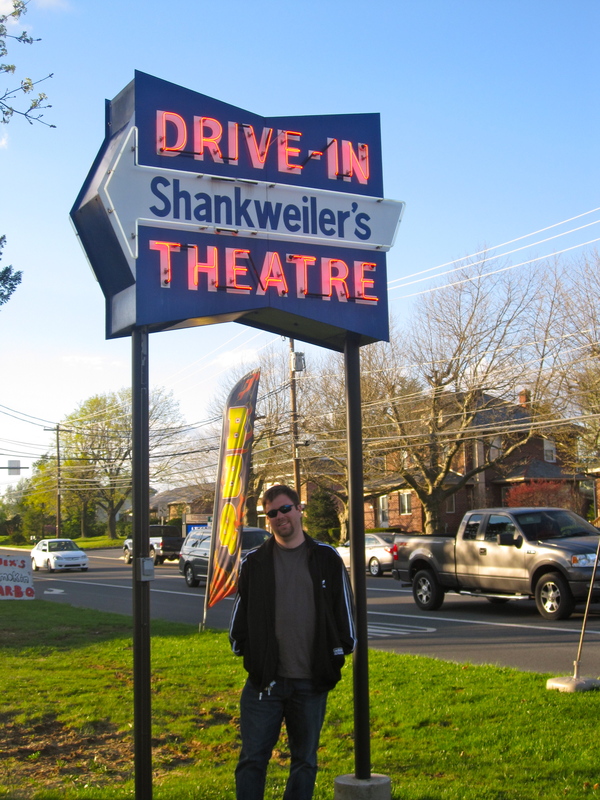 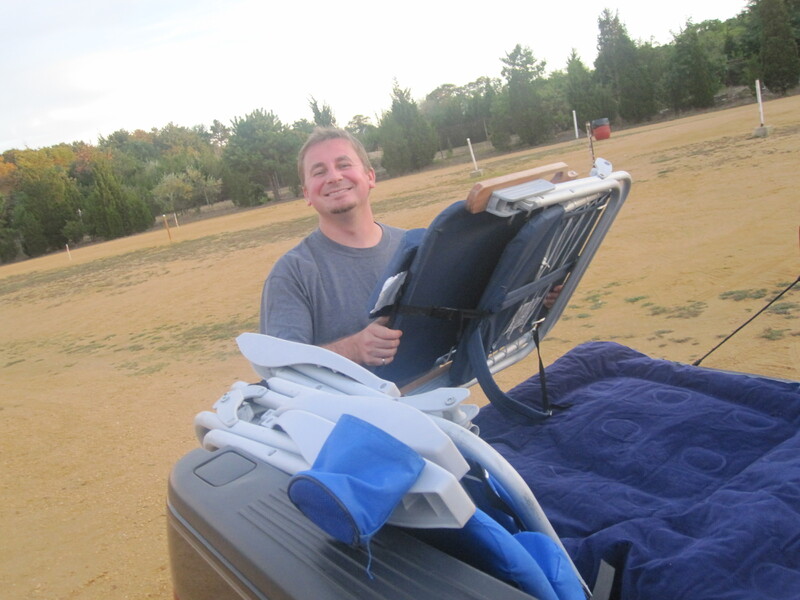 and friends wanted to have a drive-in hang out, I was a bit curious. 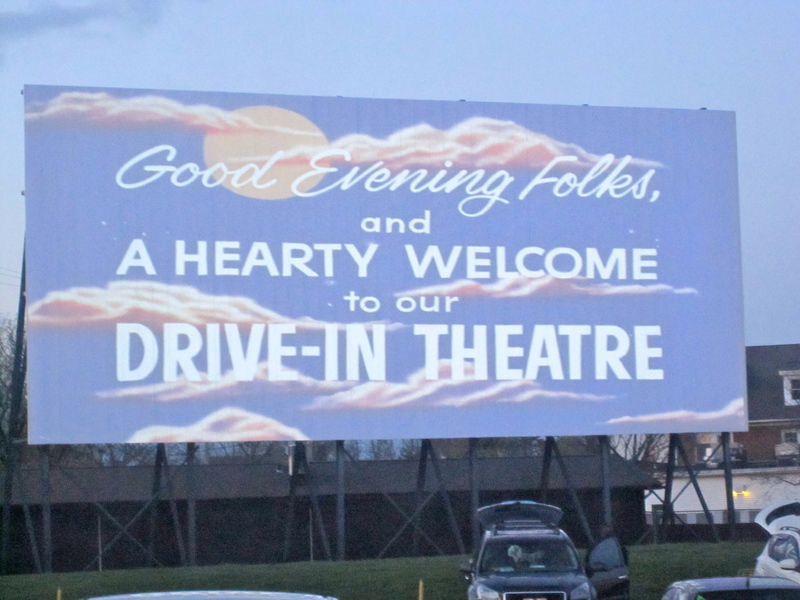 That curiosity changed to pure excitement when we arrived – pulling up to the ticket booth behind a load of cars, getting my first glance of the screens. 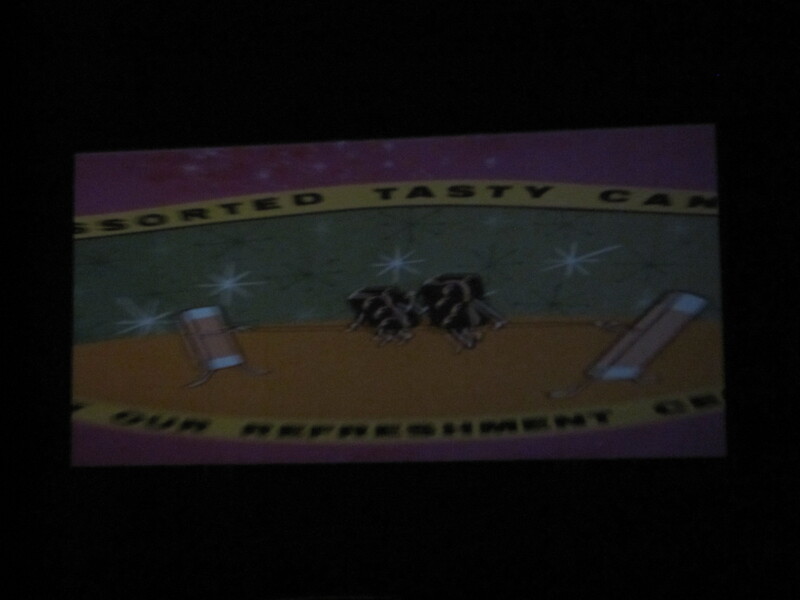 We received our “ticket,” which was a folded paper with the movies, FM channels per screen, and a menu for the concessions. 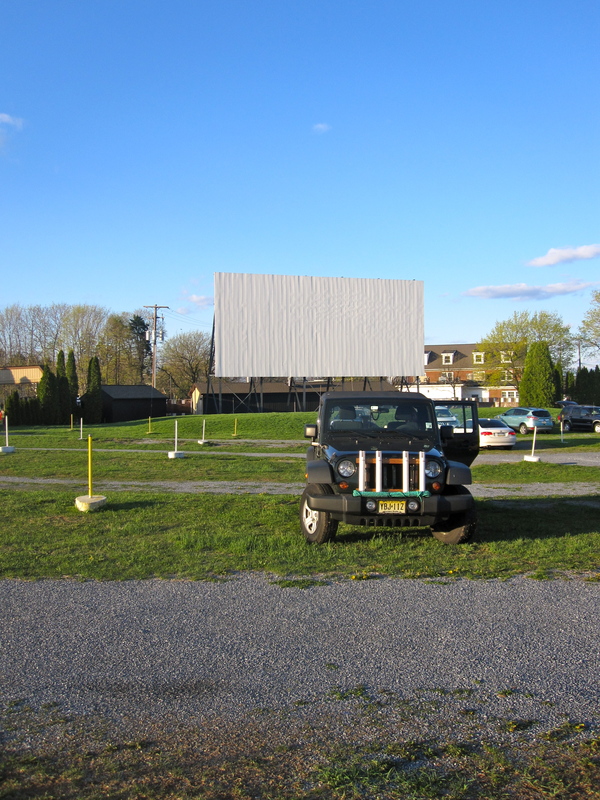 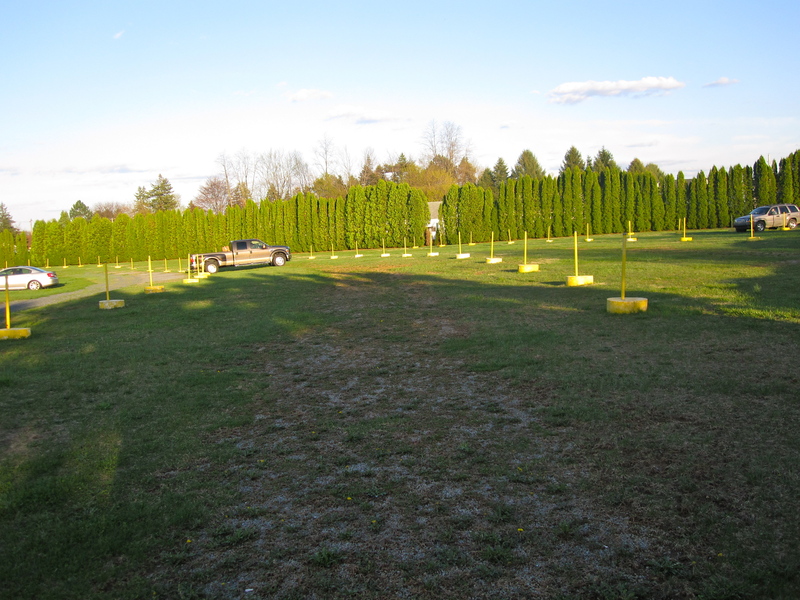 We parked at Screen #2, unloaded chairs and set-up around the cars. 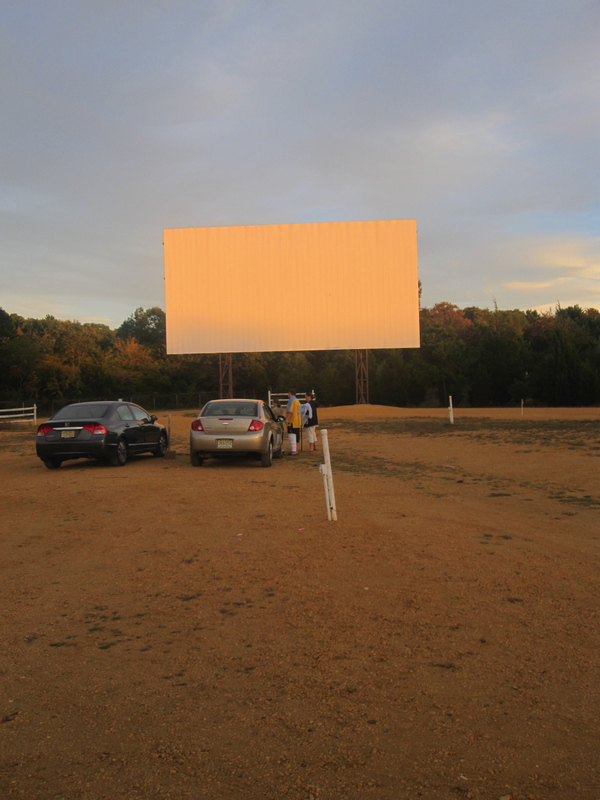 Photos were snapped, food was bought, and bottoms were settled into chairs for the first movie. 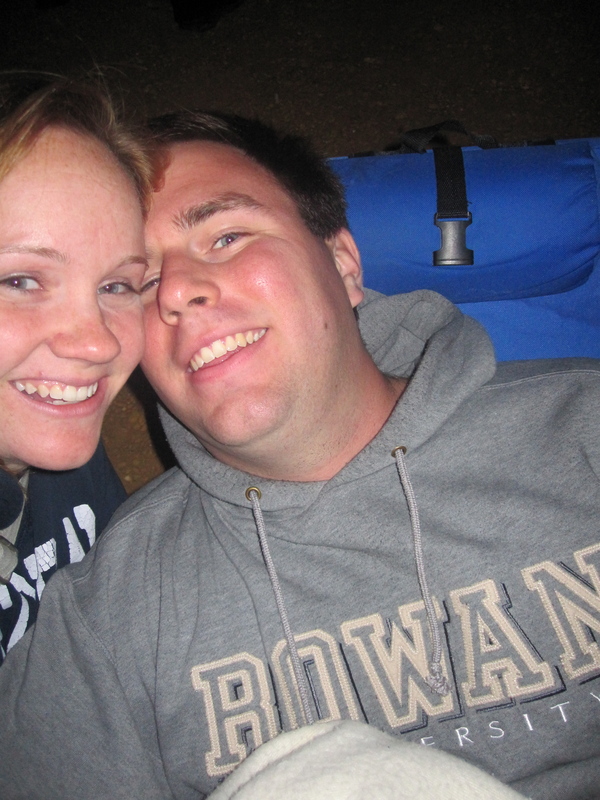 It was chilly as we sat outside, so we also bundled ourselves under blankets. 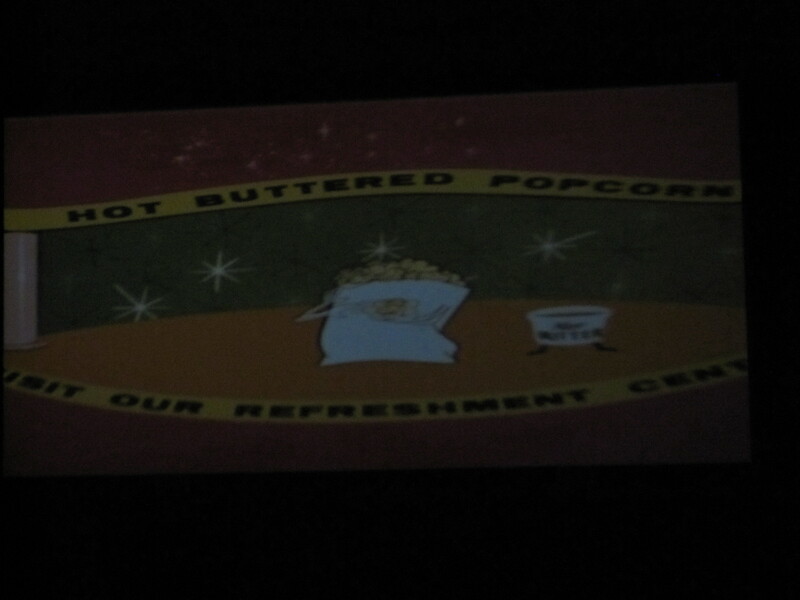 The intermission screen glowed with dancing hot dogs, popcorn, and sodas, encouraging the viewers to frequent the concession stand. 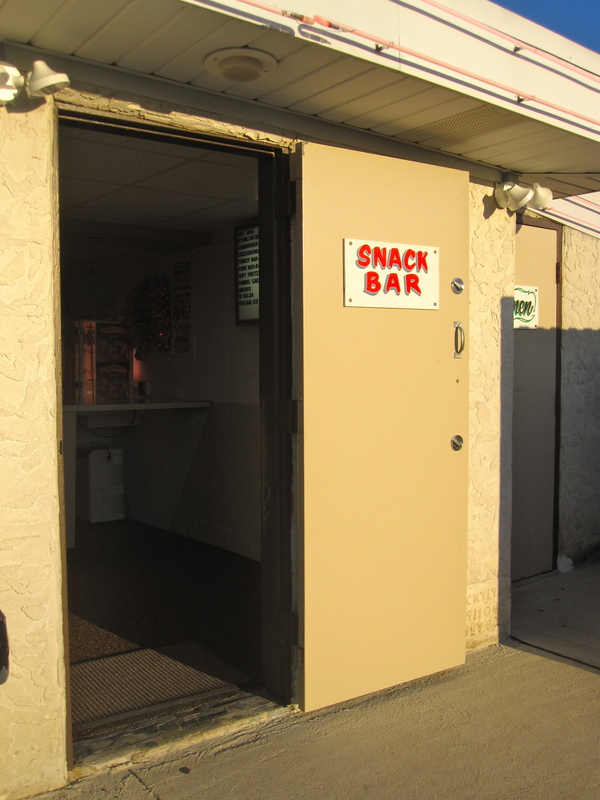 I remember that we had pizza that night, among other snacks.